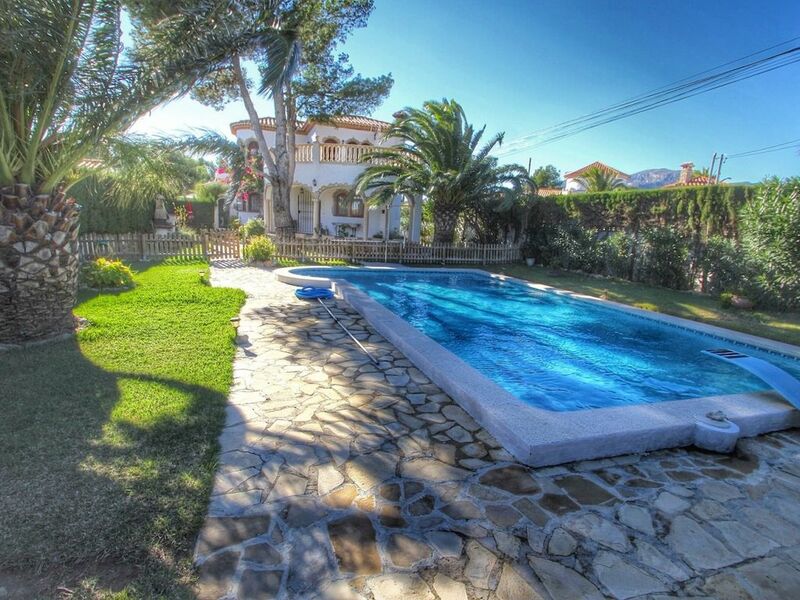 Villa California is a lovely comfortable Spanish-style villa with a large garden with trees and palms. It has a large pool with diving board, the pool and the house are divided by a fence. There is a barbecue area and terrace with nice views. Excellent location - in the center of town in a quiet residential area. The house has two floors: the ground floor has a double bedroom with air conditioning, toilet with washbasin, bathroom with shower and a toilet, spacious kitchen and living room. From the living room you have an access to a porch from which we view the pool and barbecue . Upstairs we have two bedrooms with air conditioning and double bed , bathroom with tub and a terrace of 25 meters. It’s a wonderful house to spend your holiday! Miami Playa is 20 minutes from Port Aventura. It is a quiet place with the best beaches on the Costa Dorada. Playa Crystal was the first Catalan beach with blue flag of the European Community, with restaurants and bars and the beautiful promenade. In the evening on the beach there are plenty of entertainment in a family atmosphere.